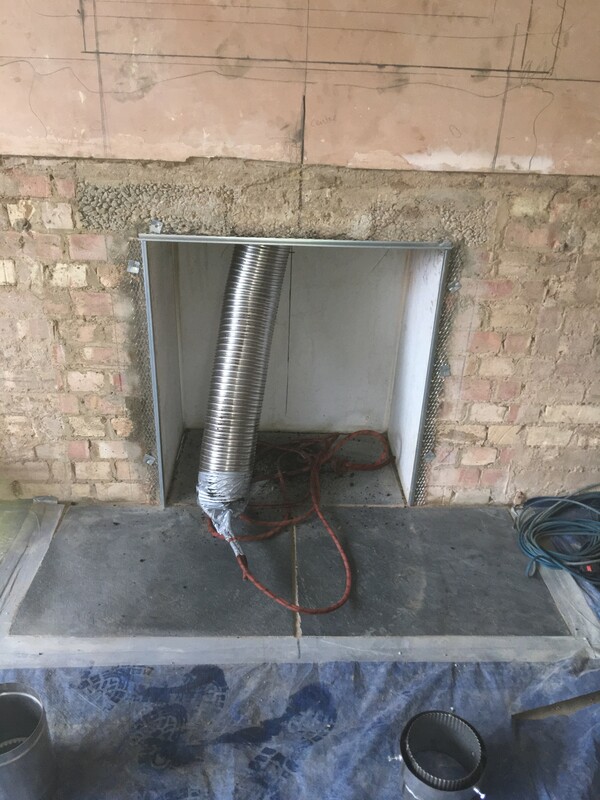 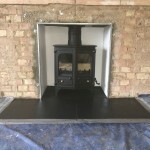 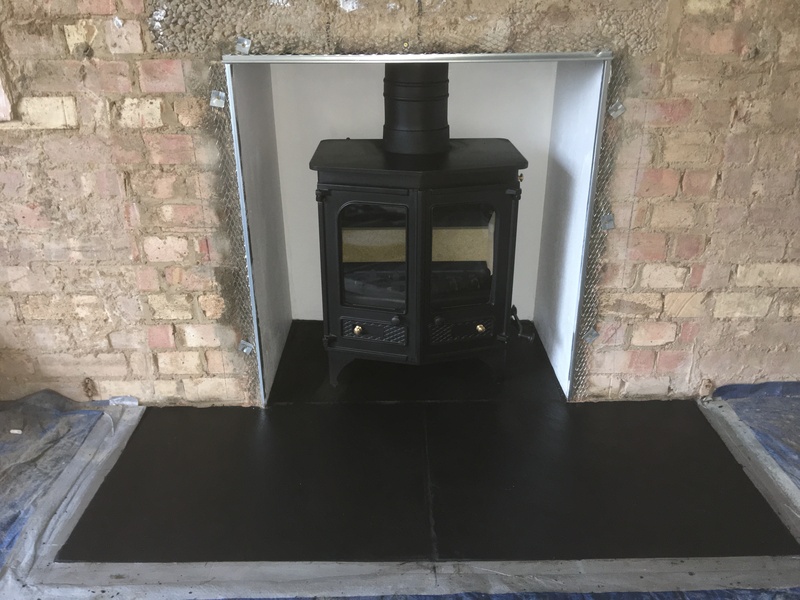 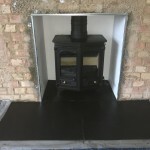 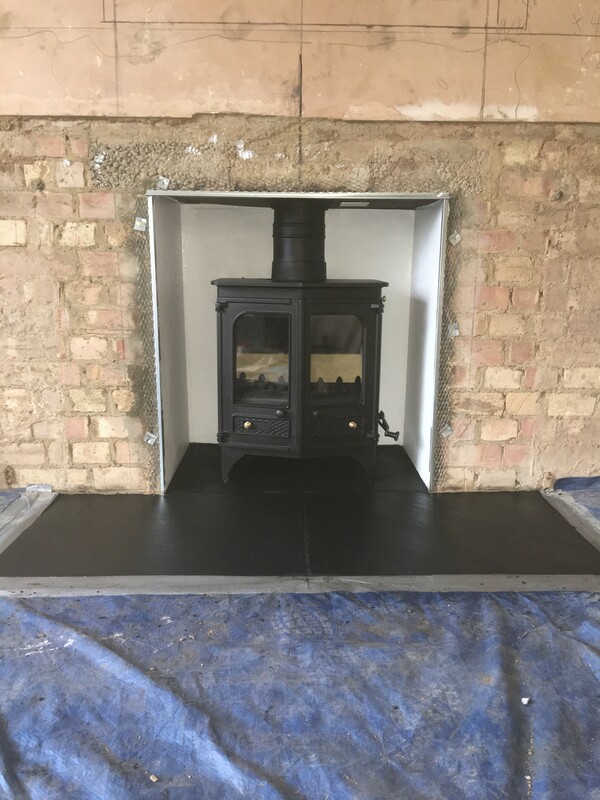 We had this stove installation into this house in the beautiful village of Williamscot just up the road from our own village, going through a full refurbishment by a retired couple who were an absolute pleasure to meet & work for. 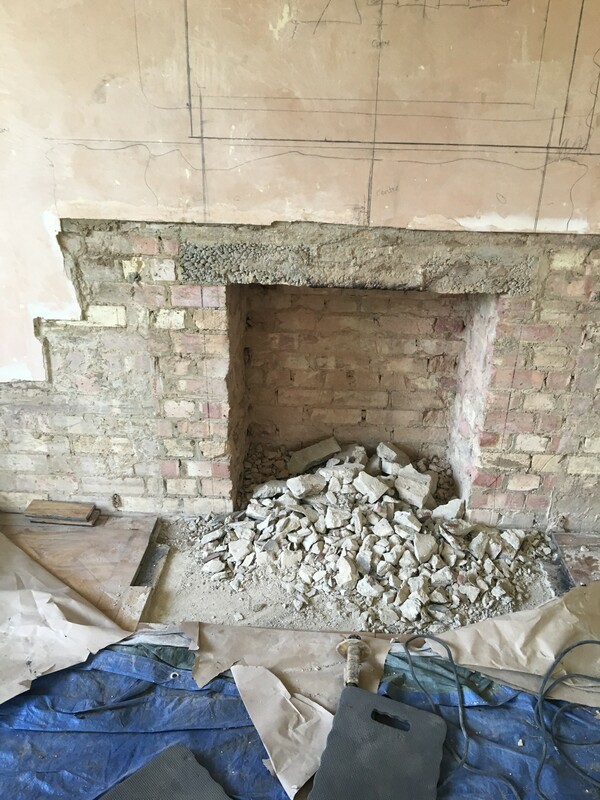 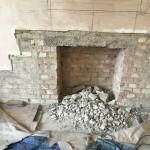 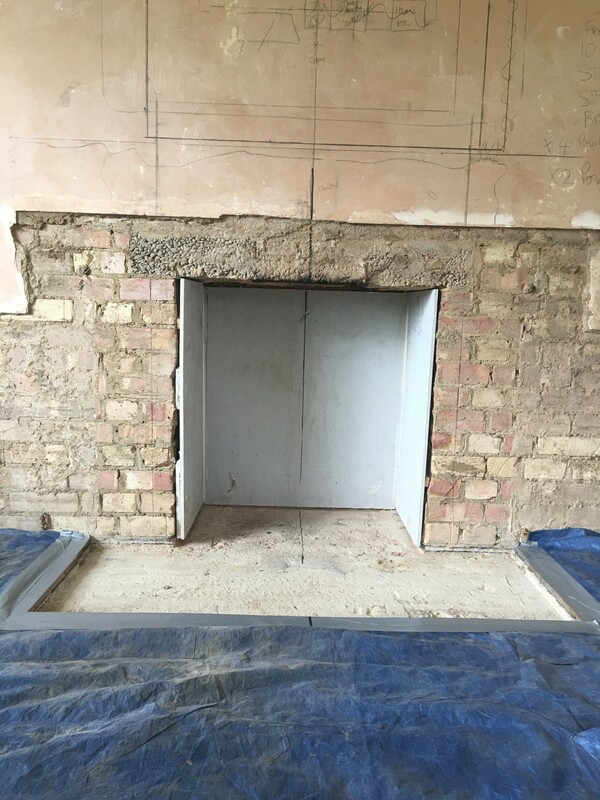 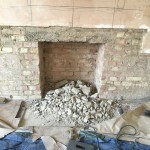 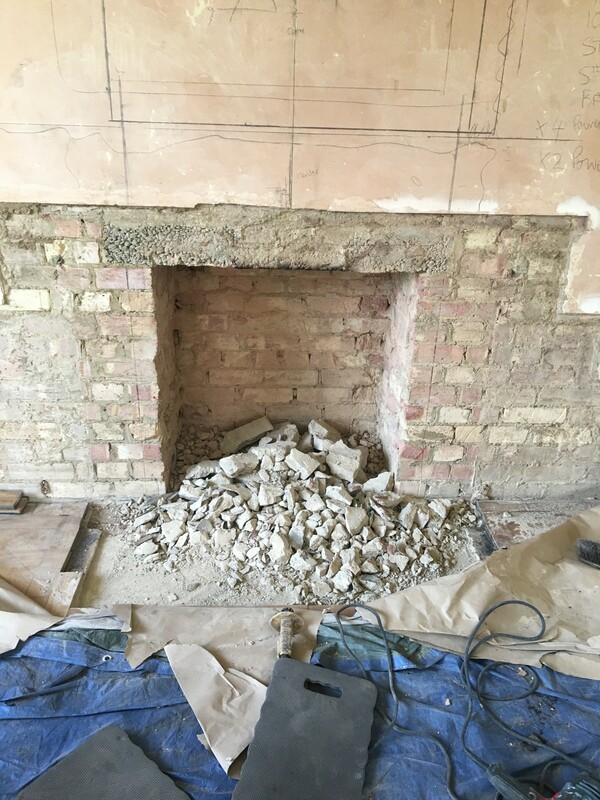 Customer had already had old stone surround removed to the builders opening. 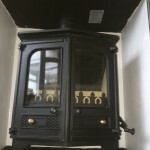 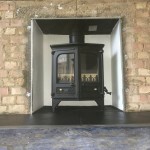 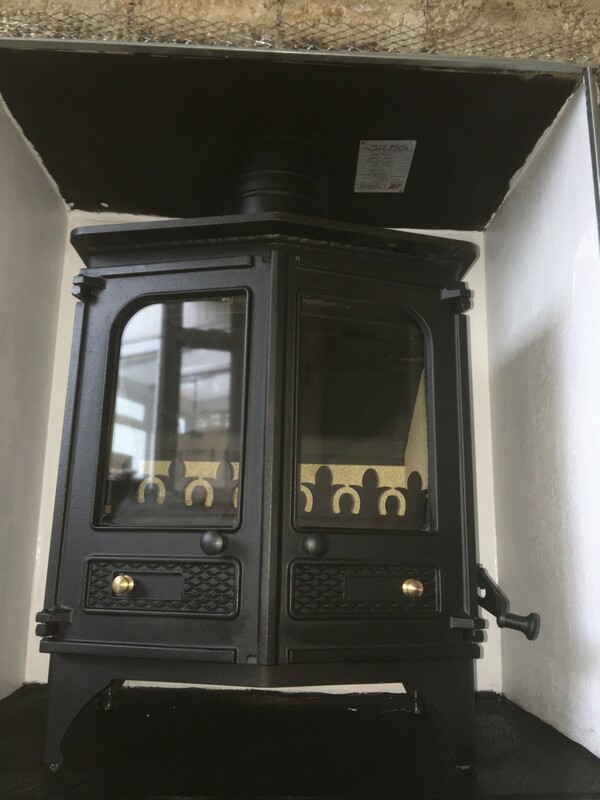 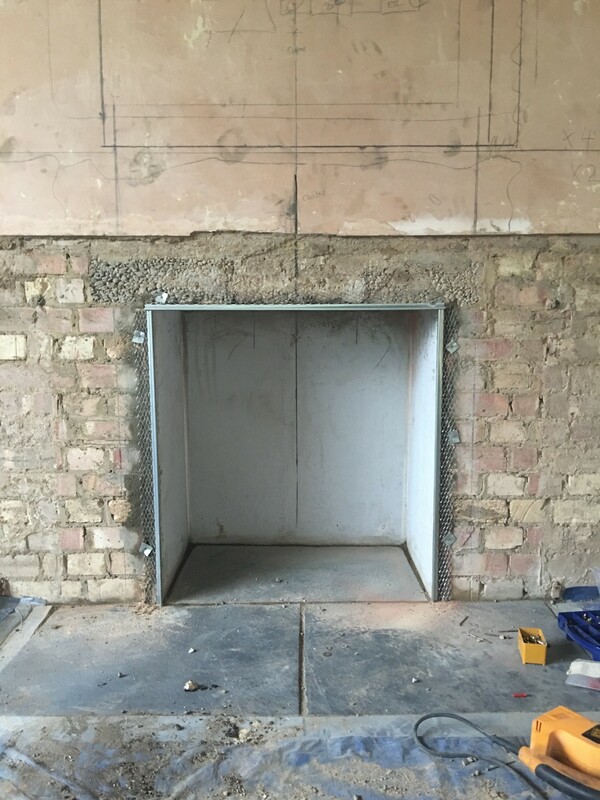 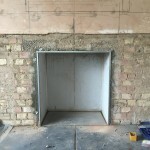 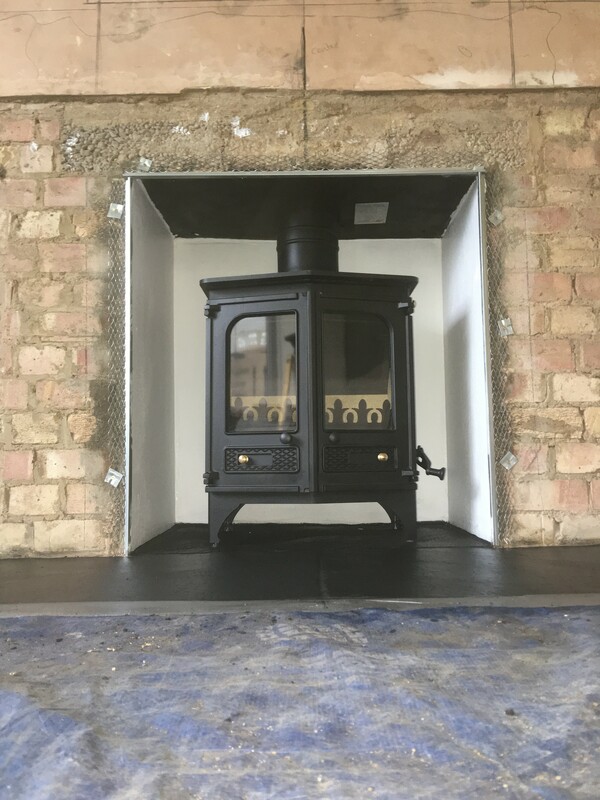 We proceeded to widen the opening for the stove that we intended to install, the Charnwood Country 6 . 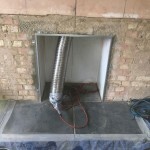 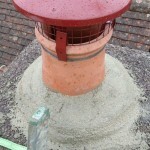 This was connected to the stove with adjustable pipe to allow removal or access at later date if required, the concrete lintel was already installed so after widening & boarding out the recess & installing the metal closure plate, we cleared out the remains of the old clay liner to allow new stainless steel liner to be installed, top plated & clamped off, new terracotta pot & cowl including new cement flaunching to seal off the stack neatly, we also installed new 3 piece slate hearth & painted the recess boarding white which helps frame the stove, we installed metal stop beads around the edging of the opening this is to allow the customer who wants to install a tile insert between the opening & a new wooden fire surround he intends to install at a later date once the house nears completion. 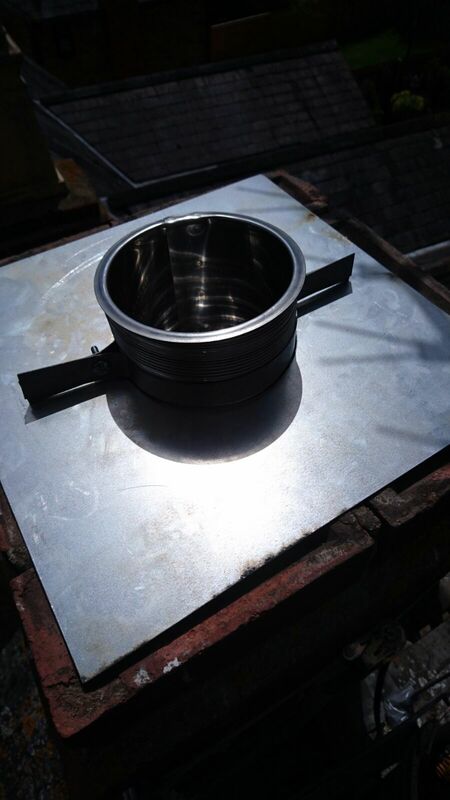 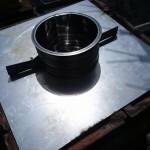 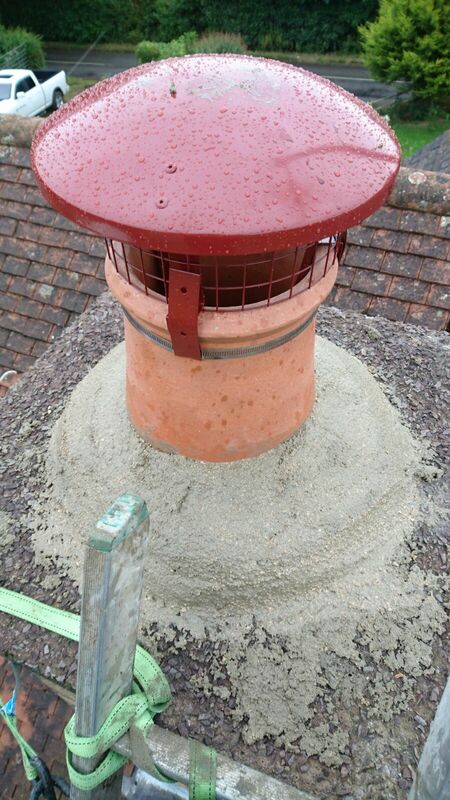 CO detector, Data plate & all paperwork completed with customer. 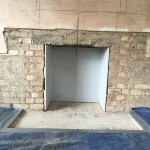 It was a pleasure to meet this couple & be asked to assist them in their installation.